Flowers should be an exciting, fun part of your Vogue Ballroom wedding planning & we love sharing the journey with our brides & grooms! Love Alfalfa Florals create floral designs from simple to opulent, so no matter what your style, you'll find yourself catered for. We take pride in providing all weddings with love and support, so let us help you plan your dream wedding florals for your memorable day. Know with confidence that we have over 6 years of experience, and together we’ll create moments to treasure. Be it a small intimate or an extravagant wedding, our aim is to tailor these arrangements specific to your requests in order to reflect your individual’s style, color scheme or theme. A Flower for Every Day is a boutique florist that specialises in event styling and creating beautiful blooms. Silver Suede is a Melbourne based online boutique florist that specialises in event styling and creating beautiful posies. Anna Claire Floral is a boutique Weddings and Events Florist based in Melbourne, Australia. Owner and florist -Anna Stretton, is happy to travel far and wide for your special day. Bryon’s For Flowers always have flowers for you. Perfect for any occasion or celebration, our stunning assortments will make your event unforgettable. Byron’s For Flowers is a successful florist shop in Doncaster East that has been up and running for over 40 years, we offer quick, same-day delivery to an array of local destinations, including nursing homes, retirement villages, hospitals, medical centers, churches and cemeteries, As well as servicing local homes and businesses in and throughout Melbourne. We are situated 17km east of Melbourne’s CBD, and with a population approaching 20,000 people, Doncaster is home to many important historical buildings, as well as one of Australia’s largest shopping centres. Byron’s For Flowers is committed to offering only the finest floral arrangements and gifts, backed by service that is friendly and prompt. Because all of our customers are important, our professional staff is dedicated to making your experience a pleasant one. We always go the extra mile to make your floral gift perfect. We have a host of ideas about how to make any gift occasion something special for both you and the recipient. We also offer wedding bouquets and wedding function flowers guaranteed to please. At Byrons For Flowers we understand that every bride and wedding party is different and that planning your wedding can be time consuming and stressful. We Understand you would like your flowers to portray a true reflection of your style and personallity and have it shine through on your special day. We would love to work with you in discussing, designing and creating your wedding flowers to compliment the atmoshpere of your day and leaving you over the moon that you chose us. 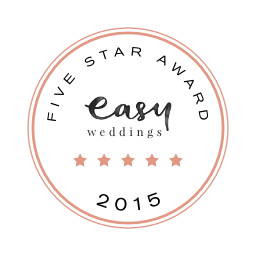 We aim to make the process as easy and exciting as possible so it is a stress-free and fun element of your wedding. If you are interested in having a chat to us about planning your flowers for your special day please feel free to email us, give us a call or pop into the store to organize a time that suits for a free wedding flower consultation. Based in the heart of St Kilda East, Shady Hill Luxury Flowers specialise in weddings and events. You will be guided by a creative Floral Designer to bring your dream wedding florals to life. Each bloom is hand selected to ensure the highest quality for your special day so that when you view your wedding photographs in years to come, the details captured are extraordinary. From intimate dinner parties featuring rustic mason jars scattered across the room, to large scale hanging installations and prop hire, Shady Hill Luxury Flowers will transform any space to reflect your unique style. We cater for your Wedding, come and talk to us for your superb bridal bouquet and custom made flowers for your maids, menfolk and Reception. Whatever size your wedding – from an intimate family affair to a formal function for several hundred guests – We offer a professional wedding service that puts the accent on detail. Please contact us to discuss your wedding day! Plucked from the earth all around the world and crafted into bold formations, these are flowers for “I do”, “I’m sorry”, “I’m here”, and for those times when words are not enough. These are flowers for the wild at heart. Nat, Floss Boss loves curating floral arrangements for installations, weddings, intimate events, corporate launches, and daily flos bouquets. Petal To The Metal Floral Design first came to life with our first shop opening in Abbotsford Victoria in 2009. Founder, Camilo Undurraga who has a background of Art and Design was looking for a city presence and to immerse himself in the music, design and arts culture, hence the name, which reflects his love of music and design. Now based back on the Peninsula, I came on board in 2015, after 15 years of working as a Marketing Coordinator. I saw the potential and passion Camilo had for Petal To The Metal Floral Design so we made a leap of faith and I joined him in the business. Living and working together can be a challenge but with the same passion for the business, our clients and life, I don’t think we’d have it any other way. No longer in the retail side of floristry, Petal To The Metal Floral Design focuses on Weddings, Corporate and Event Floral Design. We have been the in-house florist to one of Australia’s most prestigious and multi award winning wineries, Port Phillip Estate since it’s opening in 2009. Other clients also include Geoffrey Rush, James and David Reyne, Brooke Satchwell, Wally Debacker (Goyte), Prime Minister Malcolm Fraser, Baillieu Family, Portsea Hotel, Flinders Hotel, R.T Edgar Real Estate, Hvezda Hair & Beauty, Jeep, Two Birds Talking and Flinders Art show just to name a few. One of our most important aspects is to have our clients trust. Whether it is a small intimate wedding to a big gala event we put the same dedication and importance on our creations. Camilo prides himself on creating arrangements that stand out, whilst still focussing on balance and the placement of flowers in his designs. He certainly won’t shy away from pushing the boundaries of floral design whenever the opportunity arises. From the traditional classic bridal bouquet, or something a little more edgy we create floral designs to suit your individual style. We understand that your wedding day is one of the most significant days of your life. Your wedding flowers not only add that special touch to your day, they tie together the wedding theme and entwine the personalities of you and your partner. Selecting the right wedding flowers can be overwhelming and we are happy to guide you in the right direction in the first consultation.We relish the opportunity to create something exciting and memorable for your big day. Petal to the Metal embraces Individuality and Daring to be Different. Angela Nguyen is a floral designer and stylist based in South East Melbourne. She launched Style Me Flowers with the goal of showcasing her unique floral designs, and coupled with an accommodating nature to understand client needs, her bespoke designs proved an instant success. Angela credits her success to her friends, family and the wonderful clients she meets who constantly inspire her to express her creativity in the most beautiful way possible. The approach she takes is fresh, yet eclectic and organic, allowing flowers to do what they do best: bring Beauty into people’s lives. At Style Me Flowers, every wedding is special and unique. We work closely with you to plan and style your wedding from co-ordination to designing your wedding and work within your budget. We have a host of connections and would love to help style your wedding to create the perfect atmosphere for your bridal party, ceremony and reception. So whether you are planning a large reception or an intimate wedding with close family and friends, Style Me Flowers will work tirelessly to ensure your flowers are designed to perfection while bringing our flair for romantic and natural beauty to your wedding. Personal and professional approach to wedding flower and styling is what sets us apart. We are dedicated to being the least stressful thing on your big day! We’re Floral Events Melbourne, a boutique events florist based in St Kilda. We’ve been supplying beautiful corporate events, stunning weddings and making clients happy for years. We don’t have a physical shopfront which means our overheads are low and the savings get passed on to you, our valued customer. With our prestigious craftsmanship, remarkable client care and passion for floral design, your next event will be one your guest will never forget. At Floral Events Melbourne, we understand how important your wedding day is. No matter the scale, you need fresh, beautiful flowers to make your big day an unforgettable event. Our experienced wedding consultant will guide you through the many seasonal options available for your wedding flowers. You choose the flowers, style and colour palette to meet the vision you have of your wedding. At Floral Events Melbourne we don’t waste money on rent for a physical shopfront. That means our overheads are low and the savings get passed on to you, our valued customer. We’re available on weekdays, weekends and after hours to come to you and meet offsite. To arrange an initial consultation, discuss your requirements and receive an obligation free quote, contact us today. Our passion is to ensure your wedding day is truly unforgettable by creating stunning works of floral art. We will consult with you to ensure your floral designs are unique and individual. We also provide Preserved Flower Frame services as well. Everything is handmade with passion for your special memorial flowers. Welcome to Ann’s Flowers – a real florist, with gorgeous fresh flowers. We have been established in the Bayside area for over 25 years ... you will find an abundance of beautiful flowers for all occasions birthdays, anniversary's, new babies, romance or just because. We cater for anything…always ready to make the ordinary, extraordinary! At Peony Perfection we understand that every bride wants their day to run smoothly, everything needs to look amazing and exude a special feeling within themselves and their guests. We work with brides, their bridal parties, wedding planners and whoever we need to work with to ensure every bride gets exactly what they want on that ‘once in a lifetime’ kinda day. We initially created our business when we realised that there was a huge demand for beautiful Peony flowers. But due to seasonal availability, we knew that we had to follow another avenue in order to make these flowers available to brides all year round. So we got moving on our mission to find the perfect silk bouquet. We kept stumbling across flowers that didn't fit our idea of a great design and color, or the specific quality that we were searching for. So we set out to create silk bouquets which guarantee stunning quality that would be picture perfect in our wedding day photos. Our flowers are sourced from the highest quality manufacturers around the globe and all of our bouquets are carefully handmade with each stem individually reinforced to go the distance. Knowing how particular mixing and matching colors can be to create the perfect look, we are more than happy to custom make our bouquets to satisfy every bride. Being the creative minds that we are, we then decided to embark on a journey where we could handmake unique pieces of wedding décor and accessories. Our birch bark vases are a first in Australia and provide an enchanting addition to any wedding. Our Burlap frames and table numbers can also be custom made. We have had many brides ask if they can have specific quotes or messages on these accessories to either evoke a memory or thought from their guests and sometimes make them laugh. We do our best to personalise everything we can so guests will always remember your wedding day. Peony Perfection are always expanding and trying new and different things and we are open to new ideas. So please send us an enquiry and let us assist you in designing a unique and memorable day. Just as our Rainflorist presents beautiful, quirky, exotic aromas, hidden secrets and the exploding colours of Mother Nature. So too is the ambience of Rainflorist presenting for you, our customers, an enormous array of quality, originality and beauty. The Rainflorist team is professional, experienced, enthusiastic and creative - we’re definitely a happy lot! We delight in a challenge, but also enjoy producing the everyday requirements of Birthdays, Anniversaries, Sympathies, New Arrivals and no less, just because! In other words, you dream it and we’ll create it. Or if you prefer, simply leave it to us - your Rainflorist team. Weddings are a lovely time to select the flowers you have always loved or you might like to have the same as mother did on her wedding day. Our Staff are very happy to spend the time with you and plan all your wedding flowers. Please be sure to book an appointment with one of our wedding specialists. We provide all types of flower arrangemets. Bouquets, buttonholes, corsages, flower girl baskets, beautiful table arrangements, wall flower decorations, church flower arrangemens in many designs and colourful flowers. We have many years of experience in creating bouquets and flower arrangements according to your budget. We listen, understand, provide professional advice and recommend ideas to make each bride happy. We aim high to please our customers and make their wedding day memorable, one to remember forever. Belinda started her passion as a floral stylist over 20 years ago. Successfully owning Lavender Ladies Florist in Beaumaris and Bayside Weddings and Events in Black Rock. Belinda is well respected in Melbourne’s Bayside suburbs for her flower designs. Arranging flowers for venues around Melbourne, Bayside, Bellarine and the Mornington Peninsula. Before becoming a florist, Belinda worked at the Melbourne Hilton on the Park in the banquet department. Working in functions, corporate, weddings and sporting events. This has given her a great insight into table designs, and customer service. We are a family owned and operated artificial wedding flower design business. 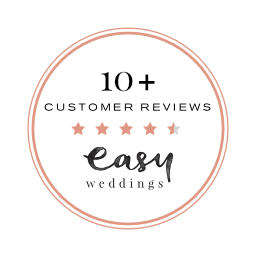 We pride ourselves on our original and high quality designs so there are no shortcuts taken here… every bouquet, arrangement, boutonniere, corsage, etc is crafted with skill and love. Our aim is to create the perfect bridal package for each bride and make sure that it completely reflects the person who will be carrying it on the day. Our team is made up of three members each with a differing tastes, so we can provide a wide range of designs to choose from and spend many hours creating new concepts and designs as well as customizing packages for each individual bride. We always use the highest quality silk flowers, materials and finishes so that your product looks amazing from every angle, complements your theme/feel and will stand the test of time. Our products are not just for your big day but can become an heirloom and this is another reason we will not let anything leave our workshop until we are 100% happy. We work full time in our workshop designing and creating unique bridal bouquets and packages for our local and International brides. To this day we have sold our products throughout Australia, The United States, Europe and Asia many times. It has taken many years to build up slowly with our emphasis on customer service and customer satisfaction as well as innovation new techniques & styles to deliver the perfect look for each individual bride. Create a stress free experience for our customers from design to completion. Always be open and honest about what will & won’t work, availability, processes, timeframes, shipping and the final product. Provide easy and quick access to quality arrangements through our huge range of pre-designed artificial floral products which cover a wide range of styles and themes. Create High Quality, Realistic & Stylish wedding flowers for each and every bride. Floral Land is a family owned and operated business with over 15 years of total designing experience. Because all of our customers are important, our professional staff is dedicated to making your experience a pleasant one. We pride ourselves on having the most modern and spectacular showroom in the Southern Hemisphere. We love what we do and want to achieve a smile and every customers face. We are located 35 minutes south of Melbourne. We deliver weddings local, interstate and many destination weddings and always make our brides feel very comfortable throughout their process of picking and choosing flowers within their budget. Whilst we do many weddings we also specialise in artificial trees, plants, flower stems, candles and glass vases. We would love to hear from you for a consultation for your future picture perfect wedding! We take pride in creating anything you can dream up. From romantic soft looks to edgy, modern looks to vintage, chic looks—and everything in between! We are a full-service florist, meaning we do more than just design a centerpiece to put on your table, we help design your entire event through flowers with the purpose of creating a cohesive look and feel with the sophistication of our expertise. "Dedicated to bringing you the highest quality flowers, with a passion to deliver great customer service"
Marie has been working in floral design for over 10 years. Scent of a fleur specialises in floral design for weddings, corporate functions and specials events. Whether it is bouquets, buttonholes, corsages or wedding receptions and functions, there is a personalised touch when preparing each floral design while incorporating the latest creativity to make your wedding experience heaven. Centre-pieces for corporate functions and special occasions is our speciality too. We buy the freshest flowers and prepare the latest designs. "Ask for a quote" and see for yourself. A Team of passionate and hard working floral designers creating beautiful daily floral arrangements, custom gifts baskets, terrariums and plants. We have fresh flowers, silk flowers and plants available daily. Same day delivery by 5pm to businesses and by 7pm for homes for orders by received 2pm, Monday to Saturday. Congrats, you're engaged! Or maybe your daughter, son or bestie is and you're just having a look. Whatever the case, we just love weddings! Our wedding service starts with a 1 hour consultation either in our studio, at your home or maybe even near your office, at a time convenient for you. After an hour of chatting all things weddings and blooms we will provide you with a no obligation quote. Booked weddings receive all our expertise and complete dedication, as we only book one wedding per day. To book a consultation or for more information about our wedding services contact us. In the meantime, take a look below for some floral inspiration from past weddings. Looking for stunning artificial wedding bouquets for your special day? Contact Decodays for all your artificial floral needs today! Have a look in our Q&A for the best tips, ideas and why you should choose artificial silk flowers. Decodays is a full service silk flower business that can provide artificial flowers that don’t wilt, fade or droop on your special day. We strive to have the best customer service, and will be able to share our excellent advice with you, making your flowers wishes come through. We make creative designs to suit your wedding event needs, drawing on years of experience in the floral industry in Europe and Australia. Rest assured the flowers you get will be of excellent quality that can be kept forever to recreate those amazing memories of your special day. You will get exactly what you have choosen and all flowers are always in season! I challenge you to try and see the difference between Decodays flowers and real flowers! All of our flowers and images are hand picked and edited personally by the team as we strive to exceed the highest quality expectation, service and product. Petals & Portraits will go above and beyond to cater for any special event. No matter the budget, nothing is too hard, too big or too small. We love working with brides and clients creating unique, tailored products to suit all needs and occasions. Please feel free to look through our photo gallery to see some of our teams florist work and photo creations. My name is Basia - founder and owner of Basia Puchalski Floral Design, a bespoke floral design studio based in Melbourne, specialising in weddings, events, corporate and restaurant displays. With over 14 years experience in the wedding industry I understand each and everyone’s special floral needs - from bouquets and buttonholes right through to arrangements for your ceremony venue and reception. Where possible I choose to use locally grown seasonal flowers, we can also source out of season blooms from the best flower suppliers, who import from France, Holland or even Japan. I love all flowers and I am inspired by my Polish heritage. Visiting Poland as a child, I remember being amazed by the beautiful communal gardens full of peonies and roses, and the fragrance in the summer evening air. I believe your special event should also create the same lasting memory for you and your guests. So whether you are after a native, rustic, modern, classic, romantic or whimsical theme, I can design it for you. For those that are unsure don’t worry, that’s what I’m here for. To advise and to take the stress out of organizing your flowers. Every client is different, which is why it is important to work with someone who understands your vision and bring it to life using only the best quality blooms, and with a range of vases and props available for hire, to help make your day complete. Consultations are by appointment only. Please call or email me and I will be more than happy to answer any questions and provide you with a quote for your special day. Welcome to Oollieflora, your premium source for flowers online in Melbourne. Our dedicated, creative team of floral artists carefully create stunning bouquets that will bring colour, beauty and flair to any occasion. Whether it’s bouquets for your wedding, centre pieces for your events, or one of our cusom/themed arrangements, Oollieflora has a floral selection to brighten anyone’s day. In addition to stunning floral arrangements, Oollieflora is the simplest way to order flowers online in Melbourne. Simply choose from our outstanding range of fresh flowers. Use our online flower delivery guide to organise free delivery to most suburbs in Melbourne. We understand that everyone has different tastes and requirements. Therefore, with our “custom arrangement”, we offer our customers the flexibility to choose specific colours and choice of flowers ( provided that they are currently in season) that can be arranged in a box, basket or vase, with several options of sizes. Let Lillypad inspire you and bring your wedding to life with extraordinary floral designs that will take your breath away. Whether you simply need flowers for your bridal party and family or a full floral service extending through to the wedding ceremony and reception, our Melbourne wedding florists will bring your wedding day alive with beautiful custom floral designs. Our wedding flowers gallery will inspire you and give you plenty of ideas for your own special day. Contact us for a complimentary wedding consulation. For wedding flower, wedding cake and/or bridesmaids dress combinations our wedding packages will reward you. Minimum 1-2 weeks order depending on selection, please contact us to confirm order prior to order if short notice. Freelance florist and event decorator. South Style Rd, local business located in the North. Our goal is to work with Brides and Grooms to be (Ok.... majority of times just brides to be) on designing their dream floral arrangement for their Kitchen tea, Hen's night, Rehearsal dinner and the BIG day. We also design for corporate functions and special events. Contact us and share your ideas, we would love to work with you. Your wedding should be a memorable and captivating event where only the two of you share your love on this special day with your friends and family as a married couple. sourcing and engaging the right products may take great effort especially when there is a budget to be met. Why not let Eternal Happiness be your sources as we are a wholesaler that allows the public to purchase directly from us! Your guests will be impressed with all the personal touches and professional selection we have to offer. So start browsing our site and you will be amazed at the products we got to offer with the price you won't be able to find anywhere else! We provide free delivery service for some orders to nearby suburbs. In other cases, you are more than welcome to pick-up in store. I was happily engaged in early 2018 and started to try to plan our dream wedding with a limited budget since then. I never knew the cost of purchasing or even hiring items for decorating a wedding event could be mind-blow expensive. The stress heavily dropped on us and I almost burst into tears. I believe all couples are eager to have a perfect wedding but in the meantime, planning to have a romantic honeymoon or looking into buying the first house ever as a family. I have been through all these and I fully understand the stressful feeling of being in this kind of situation. I questioned myself why don't I start a business to help those young couples like us, who plan to spend a minimum budget on creating a beautiful wedding. Flowers St. Germain is a boutique floral and styling studio based in Melbourne, owned and operated by Creative Director and Head Florist, Sonia. A Melbourne based florist specialising in weddings and events. We pride ourselves on heavenly, customised blooms that exceed your floral dreams. Are you looking for an alternative to real wedding flowers? Look no further! We stock one of the largest and most comprehensive range of artificial wedding flowers in Melbourne. The Desflora flower team are experienced in weddings and passionate about making your flower dream become a reality. We have a huge selection of quality single stem flowers and greenery which is suitable for bridal bouquets and centrepieces as well as our budget bunches which are great fillers for wedding arch swags, floral garlands and table runners. What makes our wedding flowers so special? What you see is what you get! There is no confusion on flower colours through your computer screen, there is no wondering about flower sizes or even what your artificial flowers might look like in real life. At Desflora, We really love you to come and visit, in fact we insist you come in and see us. See our flowers, Touch our flowers and if your lucky enough after a quick sprinkle of perfume you may also get to Smell our flowers. There is no mass productions on wedding bouquets here, We take pride in every wedding flower creation being as individual and hand picked as the next. When it comes to ever lasting beauty and low maintenance, our artificial wedding flowers are something you can keep forever. We like to think of ourselves as a flower market for artificial wedding flowers in Melbourne. There really is so much to choose from. The best way to order your wedding flowers is to come in and see us in the showroom. All of the Wedding Flowers we make up are custom designed to our customers requirements. We walk you through our range and individually pick the flowers and colours you like, mixing and matching flowers until we have a mock bouquet of exactly what you love, once we are happy with how it looks we can quote you on the spot. We also work with you in sticking to your budget if you have one. Simply visit our showroom or email us with a description of the flowers you require. bringing along an inspiration picture! pictures are the perfect way to help us understand how you are hoping your wedding flowers will look. We're all about making the planning for your event EASY without the big expense while sticking to what you need. We have endless reputable suppliers to bring the perfect event together. Maria specializes in bridal bouquets, table arrangements, church flowers and everything you need for your special day. We consult with every bride regarding the colour scheme, the venue and the general feel you’re going for. You will be amazed at the outstanding value that our stunning wedding bouquets, flower & styling packages. Once upon a time Miss Mat dreamt of a little floral design business where she would meet lovely, chill brides and grooms over cups of tea and cocktails. When her clients are bamboozled on where to start with organising their wedding flowers, she guides them deftly. When clients know what they want for their big day, Miss Mat will listen intently and pour over their inspirational images to design something that realises their vision spectacularly. After following a flower-crowned rabbit down to Bloom College, Miss Mat emerged as a fully trained florist. She now enjoys meeting new brides and grooms to design magnificent floral arrangements for their happily ever after. Not sure what you want? No worries, we will guide you through selecting flowers by providing moodboards and packages for you to easily select from. Have a clear vision of exactly what you want? Show us images, Pinterest boards etc. Miss Mat specialises in designing flowers to a creative concept. We will work closely with you to make your vision come to life. Upfront pricing. We understand that having clarity around wedding flower budget is important to our clients. That's why we provide packages, indicative pricing list so that you can plan accordingly. Vases to suit a range of wedding styles. Our range of vessels for hire including amber jars, vintage brass vases and on-trend modern copper hexagons. Choose from pick-up, delivery only or full delivery & set-up and styling of your flowers. As a Mill Park based wedding & event florist, I work predominately in the North- North East Suburbs of Melbourne. I also work with venues in the Yarra Valley. Working with brides to meet their Wedding floral vision is one of the most enjoyable aspects of my business. Using my creativity to bring your theme to life is extremely important to me. The Bridal bouquet generally sets the tone for the rest of the Wedding florals, so l like to spend time with the bride to determine her vision. Some brides know exactly what they want, but others need time and suggestions before we both feel happy that the end product will be “just right” for them. My natural bouquet style is unstructured and flowing with lots of textural elements, but of course I am happy to create whatever style you wish. Other bouquets, flowercrowns, buttonholes & corsages are then designed to compliment the bride’s bouquet. Ceremony florals add colour and romance to your special day. Taking into consideration the setting of your ceremony we can then discuss options such as statement vases/urns, arch flowers, gazebo flowers, pew/chair ends, welcome sign florals and aisle rose petals. The party really kicks off at your reception, whether it’s a cocktail party or a sit down affair. The sky’s the limit with popular choices of table centrepieces, bridal table garlands, fireplace styling, floral arrangements for the gift & dessert tables and of course the wedding cake itself. You may also consider a birdcage decorated with flowers to use as your “wishing well”, or florals for your Seating chart. We will of course offer alternative choices to assist in staying within your budget. Our florists will work closely with you to understand and express your style. Whether it's rustic or modern, classic or contemporary, formal or casual, we can extract the best that nature has to offer. We take pride in using the best seasonal florals from Melbourne's premium growers, and have a focus on sustainability. Our goal is to create something truly memorable and unique. Little Gem's florists service all areas in and around Melbourne, Yarra Valley, Dandenong Ranges, Mornington, Daylesford, Macedon Ranges and Geelong. To deliver a creative vision and beautiful artistry whilst identifying and exceeding customers expectations. Flossy Blooms creates an elegant form of art through an arrangement of flowers for that memorable occasion, or as a gift to that someone special. All Flossy Blooms products have been handcrafted for all your needs and desires whilst ensuring a high quality of standards and freshness. Flossy Blooms is a professional local Florist proudly serving Melbourne and surrounding areas. Our friendly and knowledgeable staff create and design hand crafted flower displays and arrangements customised just for you. We offer a gorgeous selection bridal bouquets, floral cake decorations, wedding ceremony flowers and centrepieces. Beautiful fresh flowers to make your wedding day unforgettable. Wedding Flowers Etc provides Melbourne, Yarra Valley and the Dandenong Ranges with unique, personalised wedding flowers. Melinda has over 20 years experience in the florist industry and will work closely with you right up until the date of your wedding to ensure absolutely no details are overlooked. Whether your wedding is planned to be a grand occasion or a personal one in the comfort of your own home Wedding Flowers Etc will ensure the flowers are a focal point of the day and something to remember forever. Specializing only in wedding flowers we offer a service to suit everyone's tastes & budget. We are able to give you more than many of our competitors because we work from my converted studio at home, we don't have the overheads as most do. We can cater for all types of weddings and events small to large, simple to extravagant, traditional to modern. STEP 2: Discuss you preferences likes and dislikes, ideas and colour themes. STEP 3: A detailed outline of your order will be emailed to you. STEP 4: Order confirmation and deposit. STEP 5. All details confirmed. STEP 6: Full payment 1 week prior to wedding. Events are what we love most. Anything from wedding flowers, birthdays parties, Christmas parties, or corporate events. Just Peachy Event Florals in Melbourne, would love to work with you in designing the perfect floral arrangements or installations for your event. Wedding Flower Studio is a specialized devoted wedding florist, focusing on all aspects of wedding flowers, based in Croydon Victoria, serve all suburbs of Melbourne. As a professional florist, Jodie has been working more than 12 years over hundreds of weddings and events. Her attention to details and quality, creation and passion, have made every event a success. Make an appointment to discuss your wedding flowers today. With over 20 years experience, we create your dream wedding or event with beautiful flowers into bouquets, boutonnieres, centre pieces and decor items for ceremony and venue styling no matter what budget. We work with each bride personally to ensure that we create exactly what you are looking for and we always aim to exceed your expectations! Karen Wang Weddings & Flowers offers professional on the day wedding coordination services. We ensure all our coordinators have extensive industry experience and are well trained before working with Karen Wang Weddings & Flowers. To make every detail impeccable for you, every coordinator is obligated to attend a briefing before the wedding day. Coordinators will wear uniforms, name badges and walkie-talkies to provide seamless service throughout the day. They will coordinate with all suppliers and make your wedding day a pleasure. Established in leafy Malvern over 30 years ago, we have been a trusted destination for all things floral. Spoilt for choice and inspired by the extensive range of cut flowers, foliage and plants we have a loyal following that seeks us out from near and far. To compliment our exquisite blooms we also have an extensive range of unique homeware and gifts. At Say It With Flowers we have a team of professional Melbourne florists who are truly masters at their craft. Our combination of attention to detail and creative design ensures that each client has the perfect piece made for their occasion. We welcome you to make an appointment and discuss your requirements with a member of our talented team. We can offer creative direction that meets your design brief and the budget of your wedding, function or event. At Say It With Flowers we are able to provide a full wedding service from design, construction, delivery and installation. Our highly skilled, creative wedding specialists will work through every step with you in designing your ideal bridal bouquet, bridal party flowers, reception and venue floral options. Ensuring that your wedding flowers are an outstanding and memorable part of your special day! Our wedding specialists will arrange a personal in-store consultation to discuss ideas and plans for your wedding day, surrounded by the abundance of beauty and inspiration of our retail store located in High Street, Malvern. Our experienced staff take the time to listen to your needs and help you make the right decisions, including styling, theming and colour combinations. Whether you’re after traditional, contemporary, rustic, vintage or colourful, you’ll receive the very best in quality and personalized service. We offer an exclusive one on one styling consultation with Kathleen Nicolis who has over 25 years of wedding experience ensuring no detail is overlooked. Each wedding unique occasion and we take time with our bride to be, as we know how important it is that the flowers complement and enhance all aspects of the day. Williams Florist extensive portfolio of work. Delivery to your home, ceremony, church and reception venue is also available. We specialise in servicing all the surrounding suburbs of Oakleigh, Huntingdale, Brighton, Bentleigh, Carnegie, Clayton, Mt. Waverley, Malvern, Malvern East, Armadale, Toorak, Caulfield, Murrumbeena, Hughesdale Chadstone, Glen Waverley and Melbourne Metropolitan areas, we also accommodate to other locations. Flos Florum is celebrating 18 years having developed an impeccable reputation as one of Melbourne's leading florists. We pride ourselves on our friendly, knowledgeable service and attention to detail. We source only the best and freshest blooms to ensure premium quality and specialise in creating beautifully fresh flowers for all occasions. We love creating flowers for all those special moments in life. Our florists are passionate about crafting beautiful flowers for your wedding, event and special occassion. All our products are crafted with premium flowers and foliages, delivered daily, fresh from growers giving you every confidence that Flos Florum will provide flowers to remember. Our specialist couriers deliver Melbourne wide and we can offer same day delivery. Visit our Online Store, give us a buzz or come in and see our beautiful boutique flagship studio in Malvern, where we professionally craft flowers to celebrate all occasions. Every moment from your wedding day will hold a special place in your heart. You pour your heart and soul into planning a moment in time that is the perfect depiction of the love between two soul mates. At BG Flowers, we understand the desire to portray love in its purest form, and believe that floral bouquets and arrangements are the perfect reflection of natural love and beauty. Our wedding flower arrangements are crafted with the upmost consideration of every individual bride and her ideas of the fairy-tale wedding day. We collaborate with you to create unique wedding flower bouquets, perfectly suited to your theme and ideas. We are happy to offer our expertise to those needing a little extra guidance, and are delighted to draw ideas from your inspiration and create the arrangements you’ve dreamt about. With over a decade of international expertise, the team at BG Flowers have an extensive understanding on the elements needed to design the perfect bouquet. We’re here to offer you choices and explore your options including colours, textures, styles, scents, and seasonal availability. All 5 senses should be subtly captivated by the atmosphere of your wedding day, and the wedding decorations and flowers play a dynamic role in achieving this. It’s important to understand the symbolism associated with certain types of flowers. Identifying some key symbols and linking them with your wedding day ambitions is a great starting point in planning. Carnations – Carnations are an affordable and elegant option for your arrangements. Pink represents gratitude and white is the symbol for pure love. Daffodils – A cherished beauty in Australia; the daffodil represents new beginnings and is a fitting choice for marriage. Daisies – The daisy is a symbol for innocence. This dainty flower is perfect for casual, outdoor weddings. White Lilies – A timeless symbol, which represents modesty, the lily is popular choice amongst brides. Peonies – Peonies are lush and gorgeous bouquet favourites which represent a happy marriage. Roses – Wear your heart on your bouquet with roses. Nothing says ‘I love you’ quite like this classic. Sunflowers – They’re often overlooked for weddings, however sunflowers are symbolic of dedicated love and are the perfect choice for country, rustic themed weddings. The floral specialists at BG Flowers are happy to coordinate your ideas and preferences with the budget that works for you. We have affordable options for low key, casual weddings, and more luxurious options for high-end nuptials. Our products range from bridal bouquets to wedding table decorations and centrepieces. No matter the price range, we honour our promise to provide exceptional value for money. Trust in BG Flowers and combine your ideas with our expertise. Let’s unite the perfect blooms for the perfect union of hearts. Let Eltham Florist be your first choice for flowers! We specialise in beautiful floristry for weddings, special events and occasions. We are able to cater for installations, arches/arbours, table centrepieces, bouquets, and much more. We also offer some amazing floral wedding packages. Our bridal bouquets and flowers are carefully designed with the finest attention to detail to make sure we showcase your personality on your special day. We ensure an effortless and enjoyable experience, with no small detail overlooked. We know each person has a unique story that is unlike anyone else, so our job is to find the best way to tell it. We work closely with each and every couple to really get to know their personalities and inner most desires, in order to collaborate together to create an experience, which is authentic to who they are and what they would like their day to feel like. Every flower when combined will help to tell a visual story about who you are, and we believe in the power of flowers to share this. We put extra thought into the way we arrange flowers in order to achieve this and ensure that it is connected to mood and experience you have envisioned for your guests. Our creative direction services are for those who have an idea of what they would like their special day to feel like, but aren't sure of the best ways to bring their vision to life. We get it, it can be overwhelming at times. We take the time to get to know you and your significant other, what brings you joy and what you're passionate about, so that we can work together to select the best elements to curate your day. We guide you thought every step of the way, offering creative options that are authentic to what you want to create in order to ensure your wedding is reflective of the environment and your personalities. Many of our clients know exactly what they would like to create and just need the extra support in sourcing materials or the man power to execute their vision on the day. We get a complete understanding for what you'd like your day to look and feel like, and work with you on the finer details to implement your design while you take the time to focus on what's most important - you and your special person. Calligraphy is a beautiful way to add a personal touch to your day, creating a warm and welcoming experience for your guests in a simple and elegant way. We offer personalised signage and visual elements which compliment the visual look and feel, and help provide direction for each and every guest. Let our professional stylists brighten your special day with high-quality fresh flowers. Our team of experienced consultants will take the time and care to produce all your bridal floral arrangements to make your dream wedding come true! Contact us today, to book an appointment with one of our consultants. OUR MOTTO IS: YOUR DREAM NOT OURS. Again ‘Staff’ are reminded to leave their ego at the front door, because everyone’s dream is different. In the first place it is your dream not ours, therefore we are there for you to create your dream for you. Together with you we want to design something that is uniquely yours. Beryl your personal designer, is the owner has a Masters in Graphic Design with over 30 years’ experience in Design, Teaching and other formats of Textile Art. flower wreaths, flower girl baskets, to ring bearer cushions, we can create it all for you. We design and create memories for you. We love a challenge, so if there’s something you need, we are here to help you! From concept to finished product, each piece is hand made in our studio in Melbourne from high quality, locally sourced materials and fabrics when possible. Each project is lovingly made with utmost care to last beyond your special day. Our pieces are exquisitely crafted so that they can be cherished as keepsakes and passed down to future generations. Felicia Sarwono’s other artistic passion and talent is working with one of world’s most beautiful nature gifts: flowers. This includes Bridal Bouquets, Centre Pieces, Ceremony Flowers and many others. With flowers sourced from the best suppliers to ensure freshness and quality, Felicia’s design excellence has completed so many beautiful weddings in various unique design range from timeless classic to modern/contemporary state of the art design. Felicia’s exceptional work in flower arrangements can be viewed in her impressive portfolio. Please contact us to arrange a free consultation in our studio or a preferred meeting place. As part of our specialist service, we will work closely with you to gain an understanding of your personal style, taste & flair, to ensure the flowers for your special day perfectly compliment you & bring your dream to life! Our qualified & creative team have the expertise to transform your wedding into an amazing event! We take pride in using only the freshest & highest quality flowers from specialist local growers & hand pick our selection for each wedding. We work closely with many venues around Melbourne as well as the Yarra Valley & Penninsula. We also take the stress out of the day by delivering to both the bride & groom at a location & time you specify, at no additional charge. When booking with Juliet Louise, you can feel assured that your flowers will not only be perfectly tailored to suit you, but the whole process will be simplified. Tucked away in the back streets of Collingwood, Melbourne sits a cosy and inviting space filled with the scent of blossom. This is the home of Thrive Flowers & Events, the creation of founders Alyssa Goodall and Rosie Mackenzie, who specialise in floral arrangements for just about any occasion. Alyssa has worked in the floristry industry for over 15 years often collaborating with well-established businesses and freelancing her skills as a modern and contemporary floral designer. Over the past 6 years Alyssa has been building her own boutique bridal business, beginning with the forward thinking idea of providing a home consultation service to brides for their convenience. This style of service along with the high quality of her floral work has proved to be such a success that Alyssa began to rank very highly with the Australian Bridal Industry Awards, recently placing 2nd with an almost perfect score for floral design of 99.48. Rosie officially joined the team in 2013 as a creative and marketing consultant but has been working alongside Alyssa over the last 6 years often assisting with wedding and event flowers and overseeing the logistics and delivery of reception setups. Rosie’s experience has previously been in the Hospitality industry, managing various Melbourne restaurants and cafes for the past 15 years, excelling at personalised customer service and business expansion. Anything you want your nearest and dearest to carry or wear, we can create; bouquets, buttonholes, corsages, flower crowns and throw petals. Also any flowers for those significant family members that might be playing a special role like MC, or maybe for those that didn’t quite make the bridal party, but you still want to show them some love! If you can imagine it, we can probably make it; from traditional altar arrangements to outdoor arbours laden with flowers and foliage, fresh or silk flower walls, arches, ribbon backdrops; the list is literally endless!!! Be it an intimate cocktail reception with your nearest and dearest or large scale, extended family, cousins-you-didn’t-even-know-you-had kind of event, flowers have the amazing power to transform a room and there are blooms available to suit every taste and every reception venue. An installation can be the perfect way to dress up the bar or create a special space for some real wow factor. Suspended installations can really take your reception to the next level and can be designed to suit any style or venue.